Symbiotic bacteria to stimulate and protect plant roots. For larger, healthier and more productive root systems. 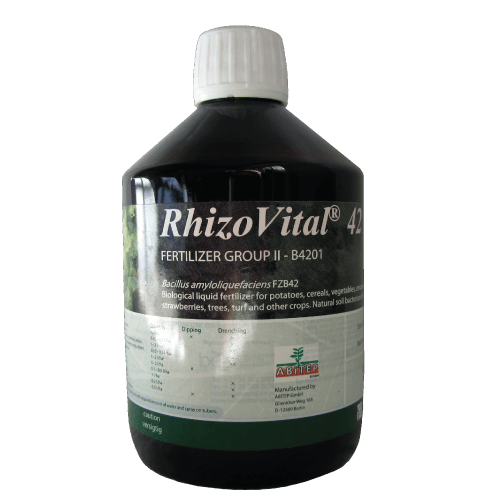 RhizoVital is a concentrated liquid formulation of the natural beneficial bacteria Bacillus amyloliquefaciens FZB42. RhizoVital stimulates plant growth, mobilises nutrients including phosphate, and promotes healthy root systems. Through the production of antibiotics RhizoVital can assist with prevention of root diseases. Improves general root health and development. Increases plant vigour and vitality through better access to nutrients and water. Aids mobilization and absorption of soil nutrients, notably Phosphate, Zinc and Manganese. An insurance against disease. Reduction in disease intensity and frequency when used as a preventative measure. Ideal for use as part of an IPM strategy. 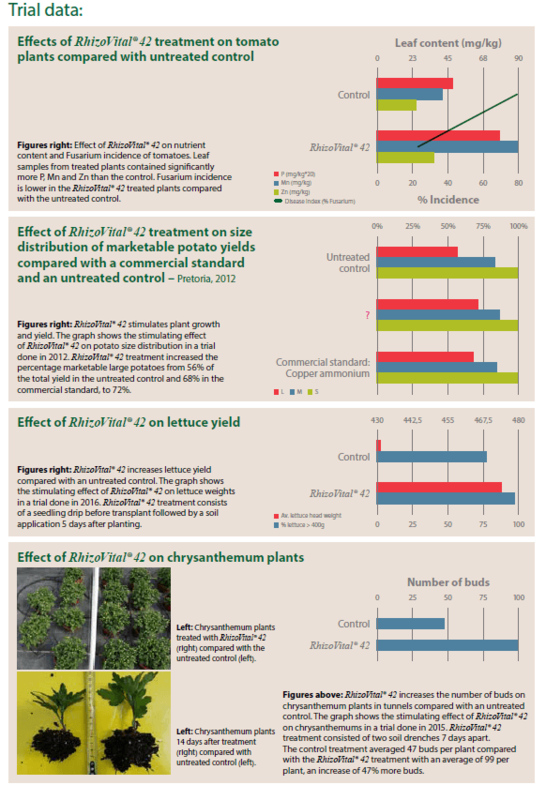 Easy to use, versatile application strategies, effective on a wide range of crops and compatible with most fertilisers and fungicides. One of the most thoroughly researched and tested bacterial products available in SA. Rhizovital is a highly concentrated liquid formulation of the beneficial bacterium Bacillus amyloliquefaciens. This bacteria forms a close symbiotic relationship with plant roots providing protection and stimulating growth. Bacillus amyloliquefaciens aids with the activation of systemic acquired resistance (SAR) and produces plant beneficial exudates including plant growth regulators and antibiotics. Natural product, non-toxic and no with-holding period. Suitable for organic use. Produced in Germany by ABiTEP GmbH, a world leader in bacterial fermentation.